Welcome to Main Street Footers! If you are looking for a delightful treat to satisfy your taste buds you have found the right place! 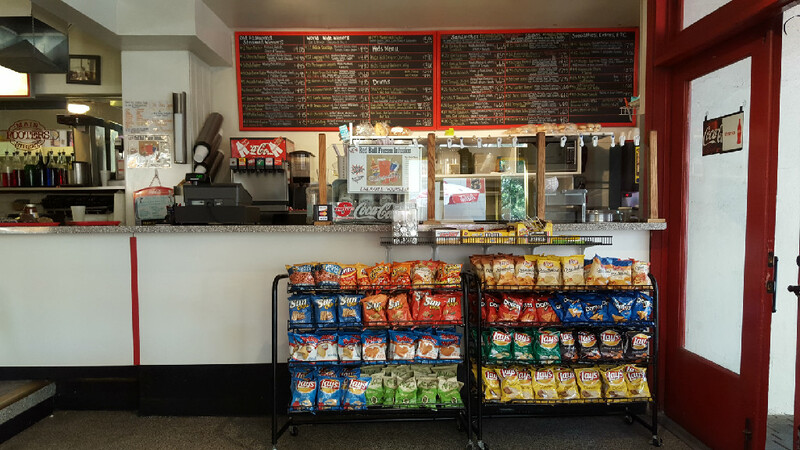 For over 30 years Main Street Footers has been serving up Footers, Sandwiches, Salads and so Much More. As Footers has grown so has the Menu! And the best Part is if you don't see something you like we will create something just for you with our wide variety of ingredients! Come on down to 425 East Main Street in Turlock and tantalize your taste buds! If you can't make it down don't forget we deliver anywhere in Turlock from 11-3:30 Monday-Friday! Main Street Footers has been serving old-fashioned hot dogs at the same location (425 E. Main Street) in Turlock for over 30 years. The business was established by Dennis Rodgers in 1983 and sold to Lisa Wilson and Glenn Newsum in August 1997. Lisa has worked at Footers since its inception. The idea behind the highly successful hot dog joint emanated from original owner Dennis Rodgers in 1983 after he traveled to the Bay area to try out several different hot dog eateries. Rodgers became inspired to open Footers on Main Street after seeing the success and presentation of Caspers Famous Hot dogs. When Rodgers made the decision to relocate to the Bay Area and consequently sell the business in 1997 he turned to Glenn Newsum, the current part owner, who he had befriended 20 years earlier to discuss the value of Footers and the potential sale. After weeks of discussion Glenn thought it would be a good idea to buy Footers. He went to Lisa Wilson, Dennis Rodgers daughter, who was running the business at the time. She had been working at Footers since she was 16 and loved the business. So, after talking it over they decided to buy Footers as partners. They officially bought Footers in August 1997. Through the years, Footers has evolved into an American deli and sandwich shop. The signature hot dogs, for which Footers is known, are always available. Additionally, there is an array of sausages, deli sandwiches, salads, and a variety of soups and chips. Footer’s atmosphere will take you back to a place where everyone knew their neighbors. Over 30 years in business and our mission statement is the same: Serve our customers with great food in a family atmosphere. Footers is open Monday through Friday 9:00 to 6:00, Saturday 10:00 to 5:00, closed on Sunday. Local delivery is available Monday through Friday from 11:00-3:30.